It's been a quiet time in the UK race calendar over the festive season, but as far as the Northern Downhill was concerned, this was the quiet before the storm. As they returned to one of their most popular race venues, so did a respectable number of riders and a certain 2 time World Downhill Champion. 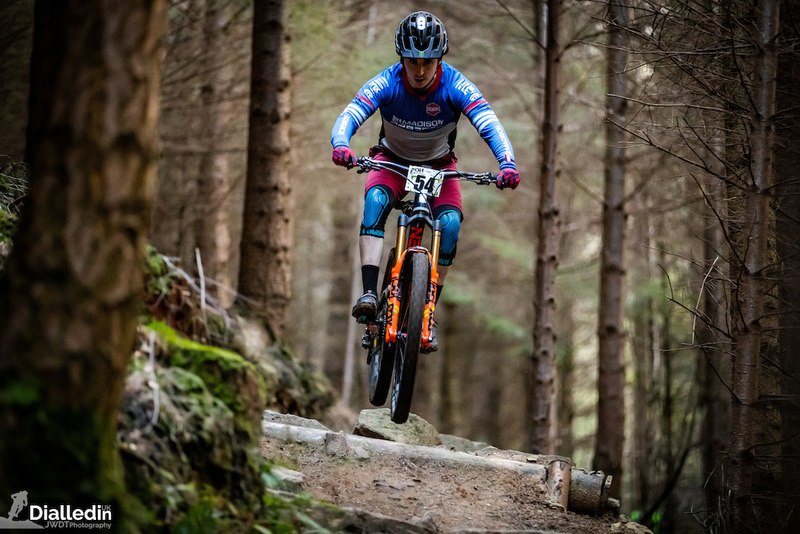 Hamsterley was the venue for the first enduro in the Northern Downhill calendar. 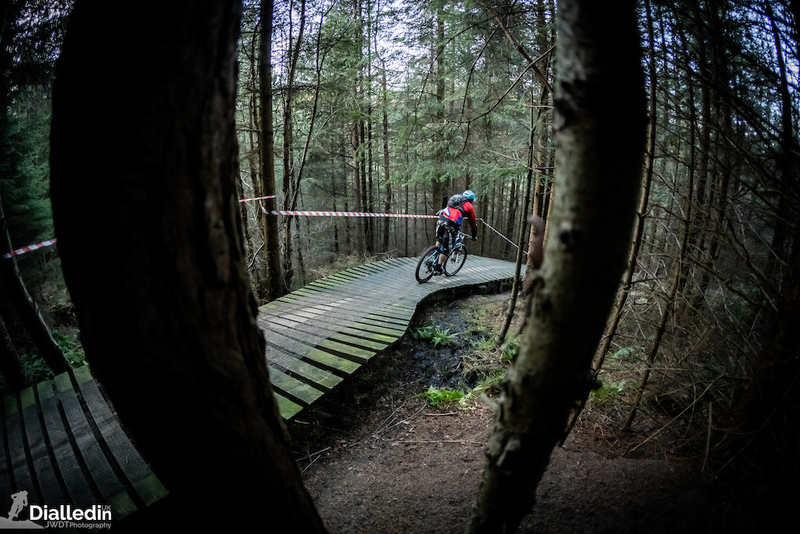 Hamsterley is a very popular forest very well located and central in the area, hence its popularity as a race venue. 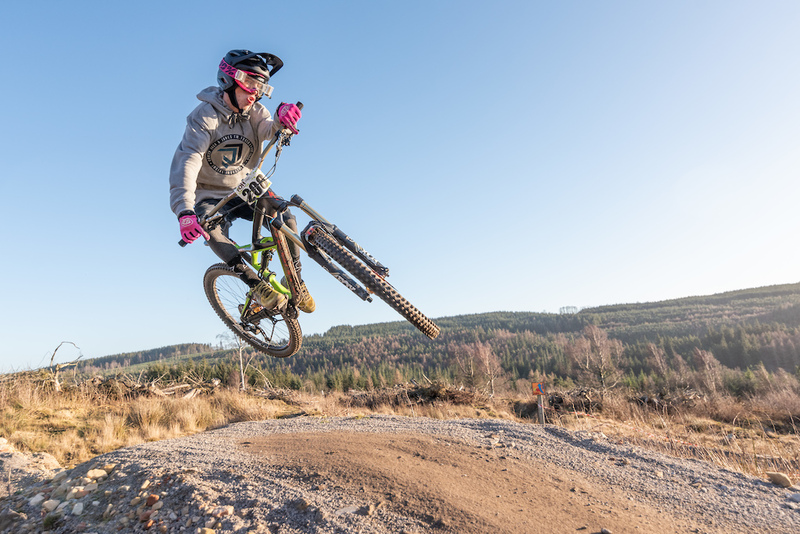 It forms part of the super 6 mountain bike trail centres, Northern England's answer to the 7 Stanes in Scotland. The others being Kielder, Chopwell, Whinlatter, Grizedale and Gisburn. 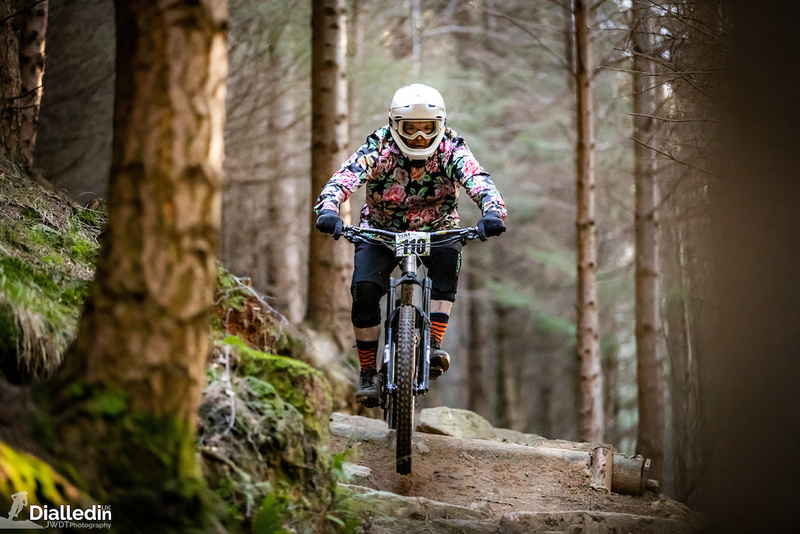 One of the best features Hamsterley has to offer over the others is the purpose built Downhill Trail centre run by the Hart family and the very popular uplift service. 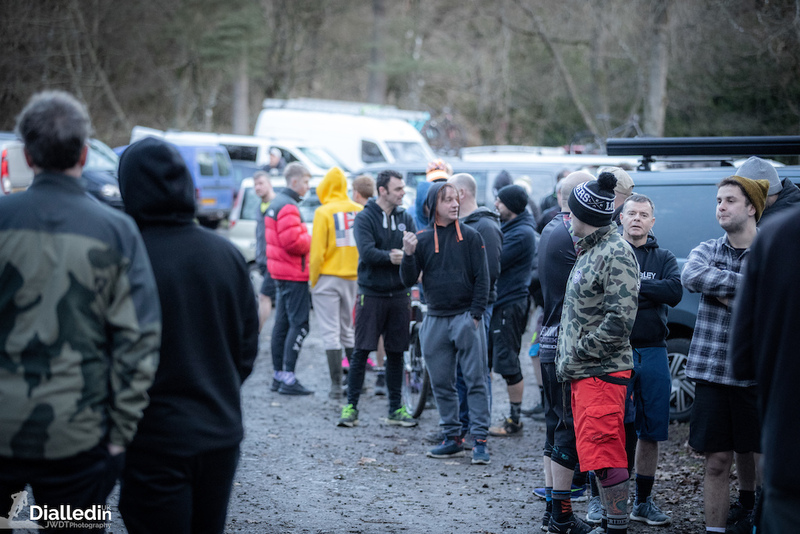 This was a sell out race very soon after the Christmas break, but this did not deter the riders signing up for an early year race. Time to burn off the Christmas Turkeys and puddings. Talking to several riders on the day, their excitement was always apparent as the wait to race had seemed endless. 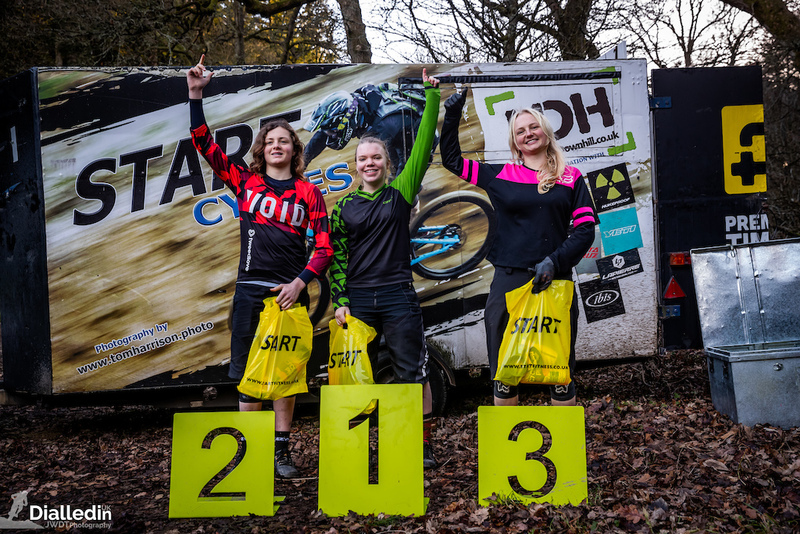 This time of year always seems like a high risk time of year to organise a race in Northern England, but the weather this year could not have been more prime, except for some hefty winds on the tops of the hills. With uncharacteristically mild and dry spells for weeks leading up to the race, most trails were bone dry and even dusty. This enduro consisted of 4 stages on either side of the valley. 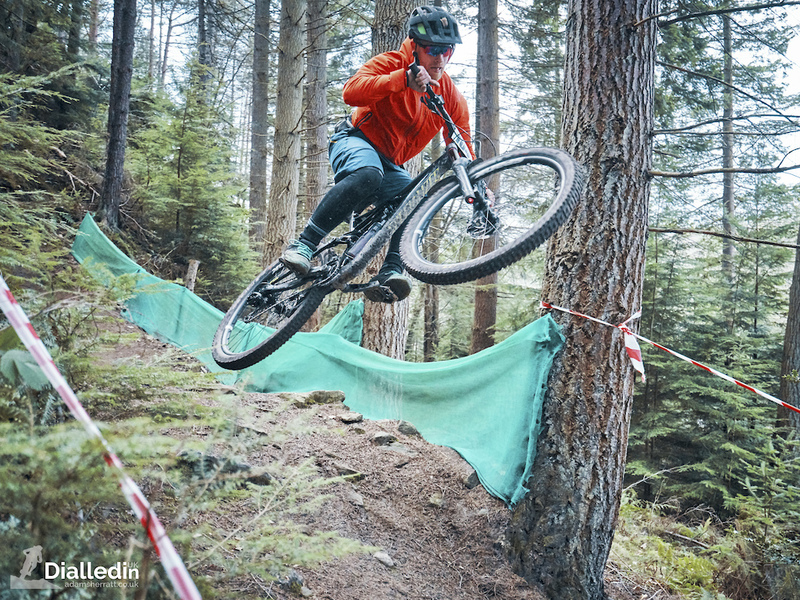 Stages 1 (old NPS) and 2 (the Edge) in Danny Hart's Descend Bike Park provided steep and technical riding more closely suited to the downhill riders. Stages 3 and 4 were part of the red cycle trails, but with a twist. The trail commonly known as Root 666 was used in its normal guise, but also the climb part of 666 was used in reverse. 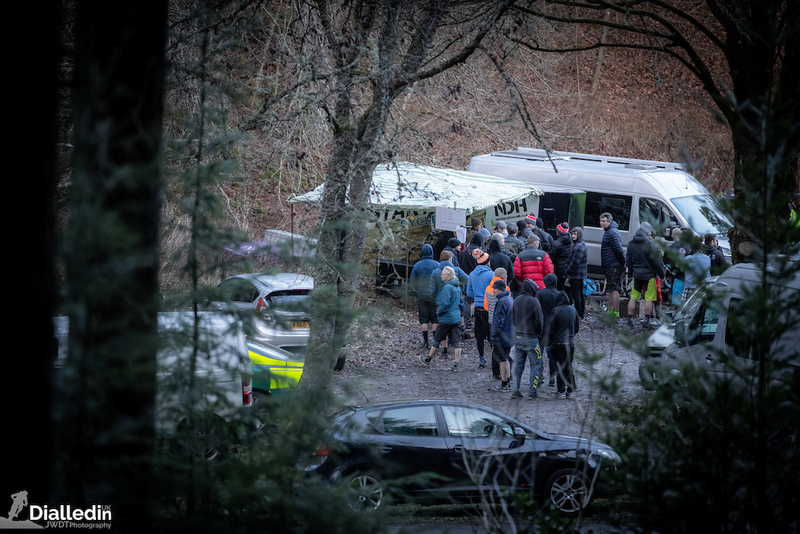 Something that hasn't been done for some time in a race at Hamsterley, so this could potentially have levelled the playing field, as well as Carl (Northern Downhill's organiser) putting in some crafty lines in stages 1 and 2. 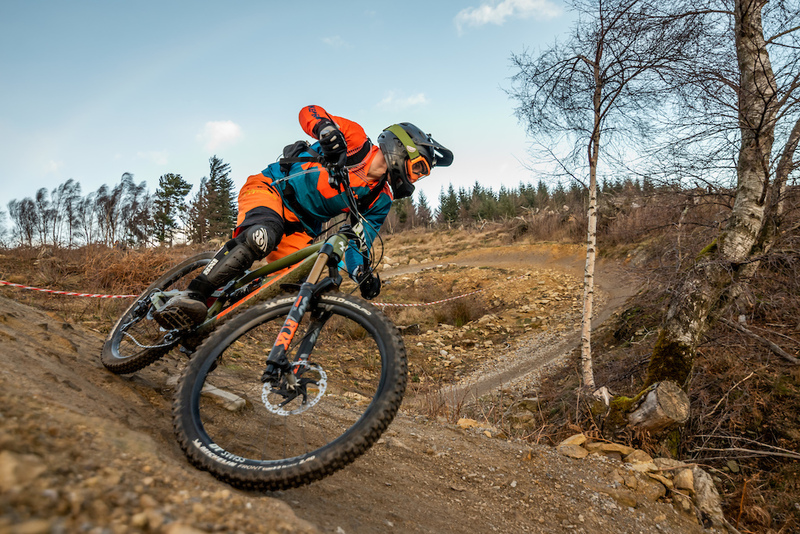 Normally during an enduro race the format is to follow the stages from 1-4 in order, however, due to the shorter winter days, riders could choose which ever stage they wanted to ride and in any order. This provided the perfect opportunity to practice in the morning and then have ample time and light to race through the afternoon light. The women's race was won by Melody Fife, her time 8:25.60 followed closely by Phoebe Gale in 8:40.66 and third place to Elsbeth Greenshields in 8:43.91. The women's race provided much tighter and closer racing with less than 20 seconds separating the top 3. 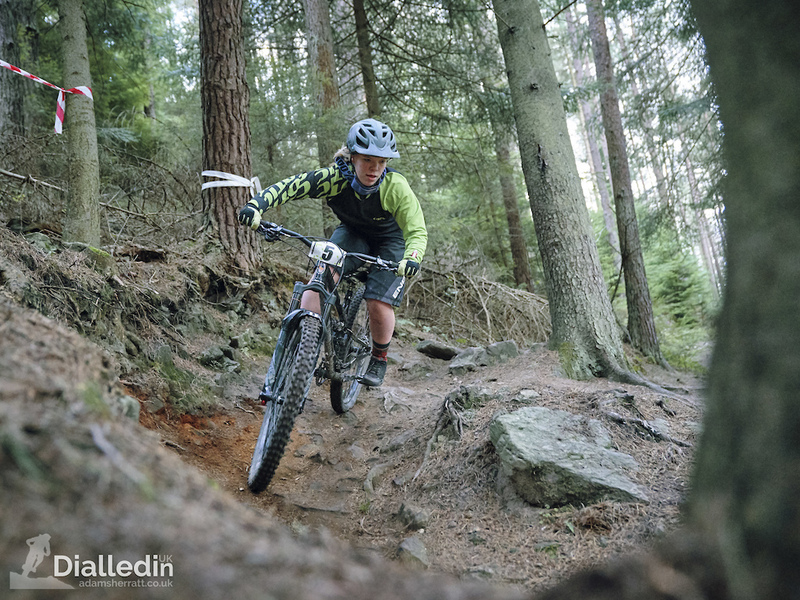 This was a superbly run first race of the season for Carl and the Northern Downhill crew. 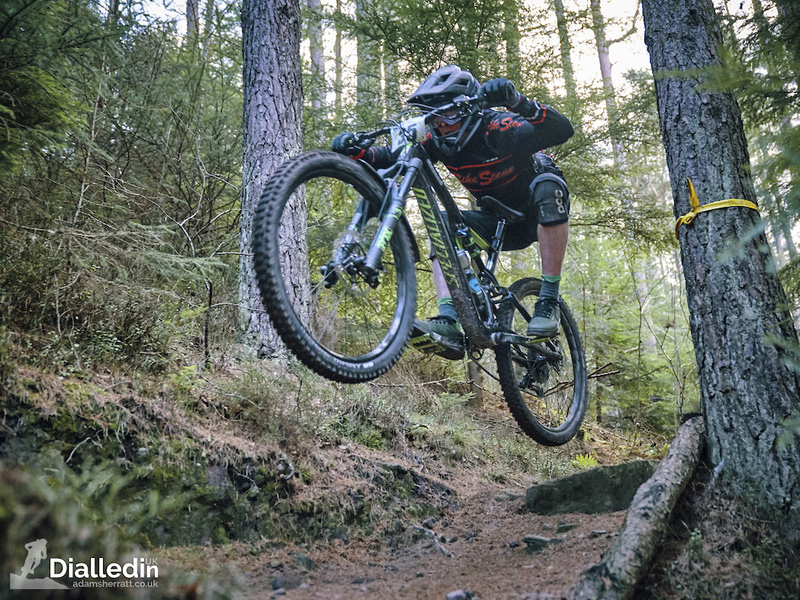 The next race in the calendar is at Ae forest on 10th February 2019 and promises to be an absolute belter of a race. A Time Trial (TT) race from the very top to the bottom of the hill. This is honestly one not to miss. More details can be found on their official website here you can also follow more information on their FaceBook pages. So that's a wrap, it was great to see the legend that is Danny return to the Northern Downhill race scene, not seen here since 2015. I'll leave you with some more images from the weekends race. See you at Ae next month. Party shirts make you go faster! I literally burst out laughing at that and now can't look back up the page! Made my lunch time reading! Cheers dude! Looks like Danny won first AND second place in that pick. Is Ben a brothafromanathamotha? Danny going for the spandex warrior win! Danny carries quite a big wallet for racing. The guy who finished second looks more like Danny Hart than Danny Hart!!!!!! Ha ha, yeah. He looks like Danny but stood closer! Danny with the yugoslavian tuxedo! Kind of true, but he was beaten on one stage! @JWDTphotography: So rad. Thanks for the race report. @Adamrideshisbike - they did. Danny's 36 has so much flex it was putting him at a disadvantage. Also his handlebar and stem combo has non optimal geometry. Read about it on Pinkbike. 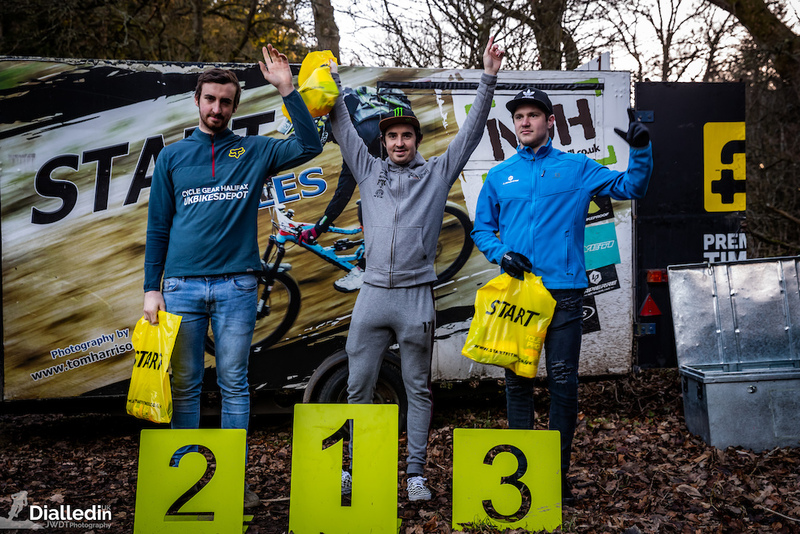 Not really news that Danny win a race at his own bike park is it? @big-G-84: Beating up on the locals is a great way to build confidence going in to the new season. @m1dg3t: If it is your own park, no one is more local than yourself . 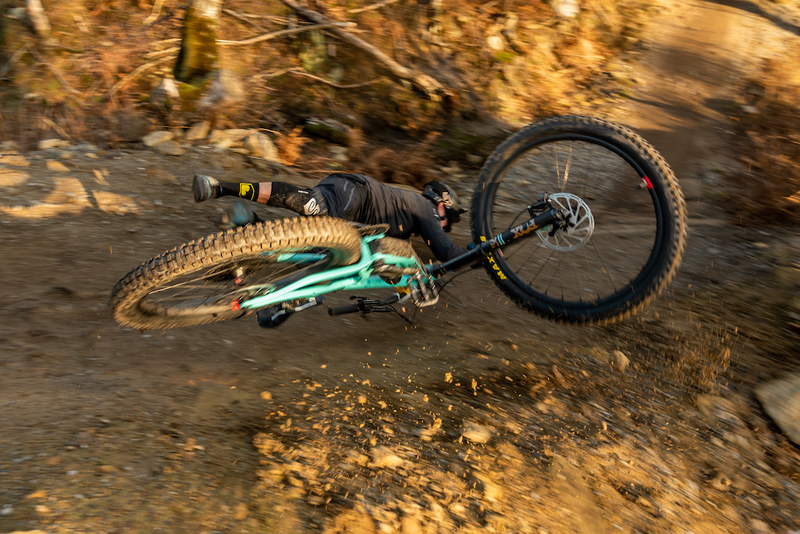 "HOW DOES DANNY HART SIT DOWN WITH PANTS THAT TIGHT?!?!?!" when you start getting the first race-reports it's like... ok, NOW the year is starting... looking forward for pizza and beer and racing streams over the weekend ! It's madness when American foods are even popular in a country with such proud culinary traditions as Italy. It’s never sandbagging if it’s on your local hill. Dear Pinkbikers, lets chip in for Melodyś knee pads! Yes - really. The winning female wears no pads at all. Very smart. I don't get it. @NoriDori: some riders use skills insted of pads. Love to see steel bikes win races. Great job Melody! And great bike obviously, Cotic ! "a certain 2 times World Cup Downhill champion." Typo? Maybe i am wrong, but Danny have won the world cup once, and twice the world championship. So it's 6+ minutes total racing time throughout the entire day? that's what I thought. How long was each track, 300 metres? What is this!A race for ants! Only been there once, the trails all start off pretty flat then get rowdy. If you are having a slow day, read this article in Danny’s voice and I promise you your day will improve. 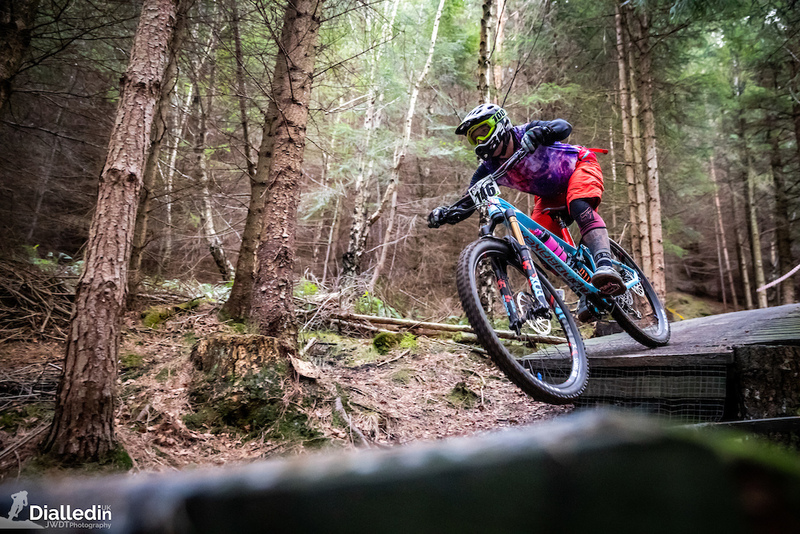 So wait.... Danny competed in a race that he put on in a bikepark he owns? .......................................? He could have won on that hill going backwards. It's hard to believe there that was that few women racing. Proof read before you post. Is this the place where those cute little furry creatures come from?